The O.N.E. 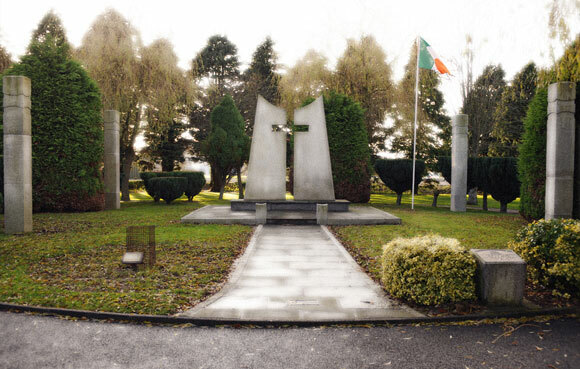 Memorial Monument is located near the main entrance of the Church in Casement Aerodrome, Baldonnel. It is a prominent edifice to the memory of the deceased personnel who have served with the Air Corps. In 1987 the Roger Casement Branch of O.N.E. decided to erect an appropriate memorial to deceased former colleagues. Permission for the project was granted by the then GOC Air Corps, Brig. General B. McMahon. In 1989 the late Jack Lynch, Branch Chairman at the time and the late Kevin Whelan, Branch Secretary spearheaded the project. With trojan work by the committee and the members of the Branch, sufficient funds were raised and so it was decided to proceed with the construction of the Monument. Col. K. Hogan provided invaluable support to the project. The sculptor Joe Sloan was engaged to provide expert guidance and to design the monument. The stone used is granite which was quarried in the Dublin mountains. The centre piece of the Memorial is in the form of a Roman Cross. The surface area surrounding the Cross and the pathways is covered with Liscannor Stone. Four pillars placed equidistant from the centre represent the four provinces. The general area around the monument is landscaped. 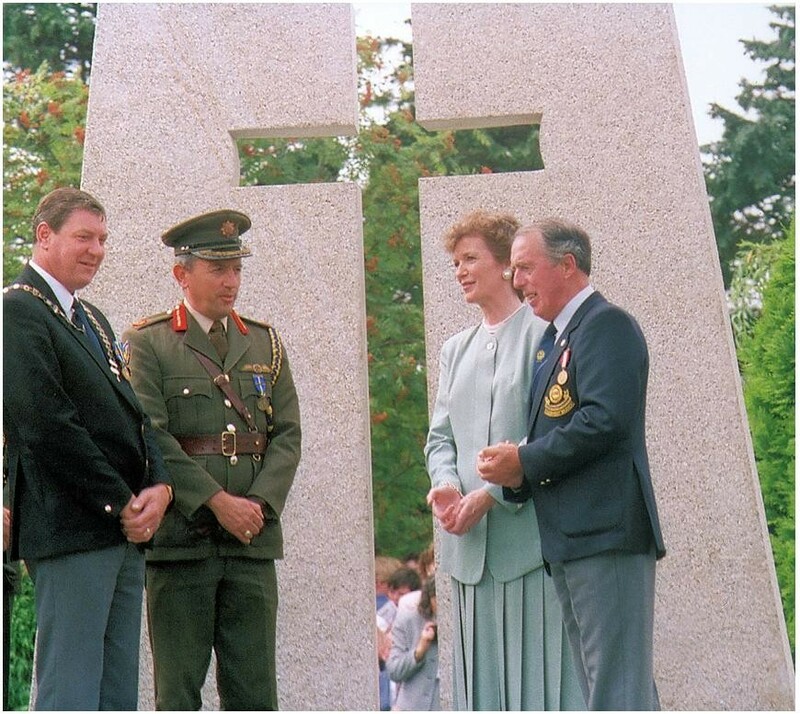 On a warm day in July 1992 President Mary Robinson unveiled the Memorial in the presence of a large group which included the National President of O.N.E. Pat Dunleavy, the Chairman of the Roger Casement Branch Jim Conway, the Chief of Staff PDF, Maj. Gen. L. Bergin, Brig. Gen. P. Cranfield GOC Air Corps, members of the Diplomatic Services, representatives from the Civil Service and local politicians. A large number of present and former members who served with the Air Corps and their families were also in attendance. Each year on the second Sunday in October at the Roger Casement Branch annual Mass of Remembrance a wreath is laid at the Memorial by the Chairman of the Branch accompanied by the GOC Air Corps.